Tracy began her adventures in audio over twenty years ago playing feisty types doing battle with aliens in BBC spin-offs of dramas and went on to perform in radio plays and comedy sketch shows. Then, alongside her recording work, she began working in beautiful heritage sites, bringing to life a variety of characters from Medieval queens to filthy beggars and everything in between. 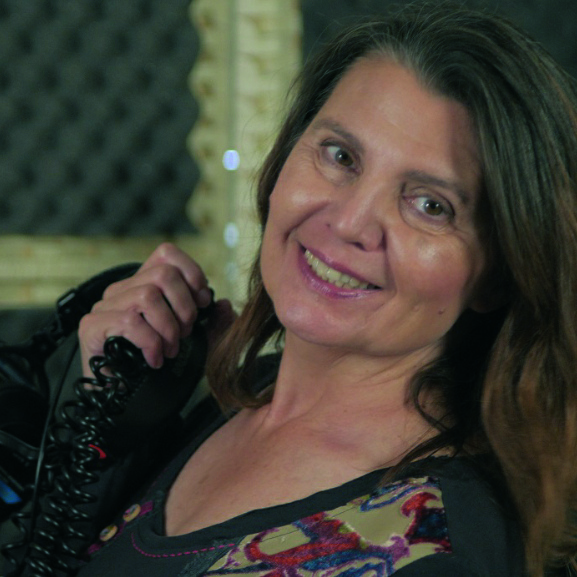 She has gone on to record audioguides for heritage attractions, deliver advertising campaigns and online narrations but is most passionate about stories and never happier than when recording an audiobook, creating different worlds and characters. In her spare time, she enjoys a shimmy and a hip drop as a member of a local belly dancing troupe.